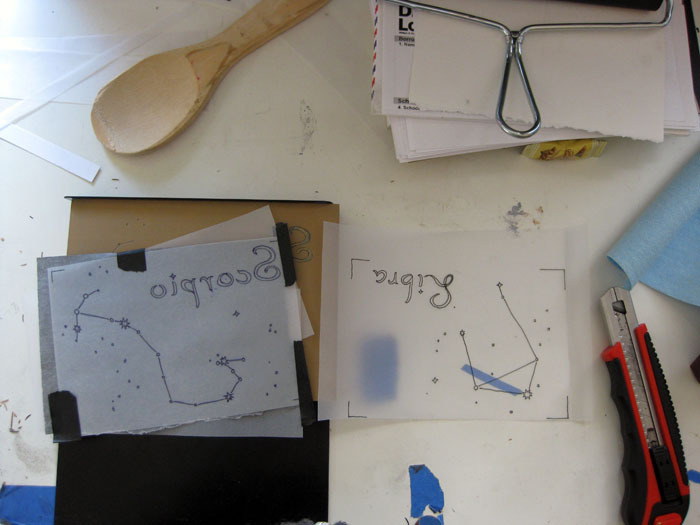 Today we made a proof of one of our constellation postcards - Scorpio, because it's the next constellation up (and it's my birth sign! Well...if you don't take into account the planetary regression thing. 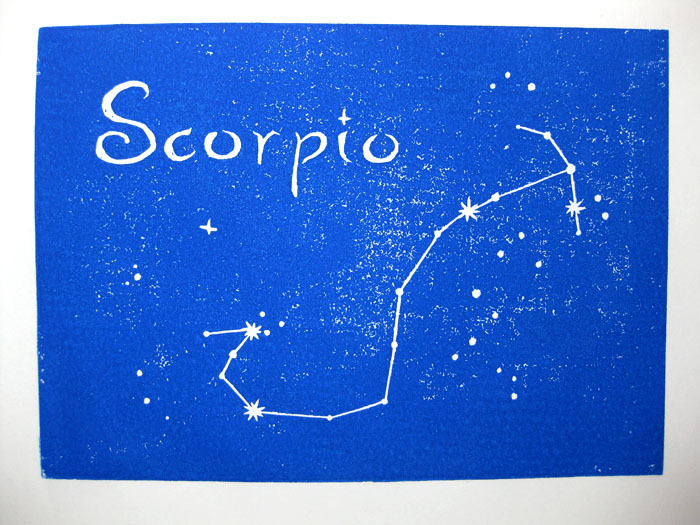 Truthfully, I'm more of a Libra anyway...but enough about astrology!). The final version will be done with oil-based inks - this one is water-based and cheap and thus the print is a little bit spotty. 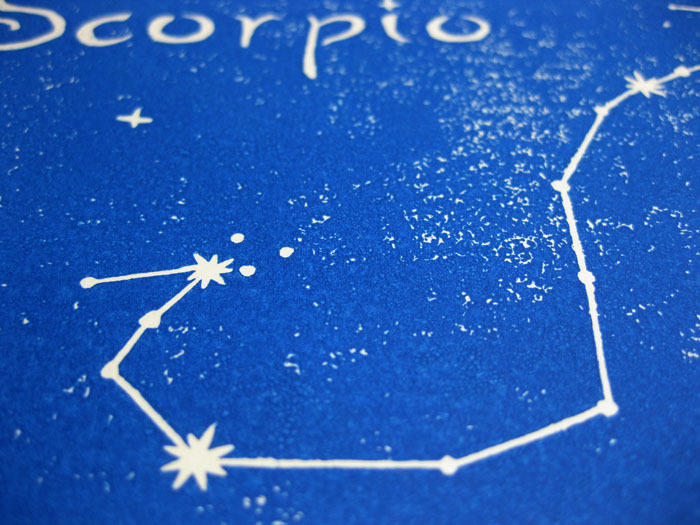 The color is also way off, this is just out-of-the-tube blue and the actual cards will be nice dark blue like the night sky is supposed to be. But it's fun to see what it will look like!